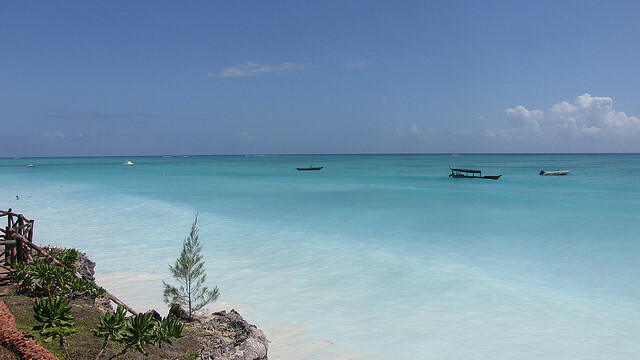 If there’s one place I would pick to visit for the beauty of its beaches alone, it would have to be Zanzibar. Zanzibar offers the full package for luxury holidays: exceptional beaches, some of the best diving in the world, traditional thatched villages, and spice farms. The perfect Zanzibar holiday can work amazingly well when combined with a Safari holiday on the East African Mainland. A safari to Tanzania is the perfect choice, with so many connecting flights to and From Zanzibar a day, it is just a hop, skip and jump away… An amazingly diverse country which can include the great wildebeest migration in the World famous Serengeti National Park, the iconic snow peaked Mount Kilimanjaro, the incredible wildlife density of the Ngorongoro Crater, or the untouched South, including the Ruaha and the Selous National Parks. Tanzania will leave you speechless and create an unforgettable African Safari. Here is your guide to the best Zanzibar beaches. Nungwi is full of character and charm. It’s on the northern part of the island and tends to be the liveliest beach on the island, so it does attract its share of backpackers . The sands on this beach are so white, they are almost blinding, and the deep blue waters will let you know you are in Paradise. The beach at Paje is great for diving, windsurfing, and kite surfing. This village is located on the southeast coast and has the clearest and bluest lagoon you will find on the island. There are also a lot of locals dressed as Maasai warriors. This Zanzibar beach is great for photos. Kendwa beach is walking distance from Nungwi, and it’s great for sunset watching. It’s a perfect beach to take snorkeling trips from, and there is a Full Moon Party on this beach each month. The water is a stunning turquoise and it’s a relaxing beach for just chilling out. Mangapwani Beach is a perfect beach for swimming and relaxing. It’s incredibly beautiful, and is located just west of Mangapwani village. The Serena Beach Club is the only restaurant at the beach. Get the grilled seafood lunch and watch the dolphins swim by. If you want a beach with a local feel that feels far away from the hustle and bustle of everyday life, then don’t miss Jambiani beach. The smiling local people, the lingering scent of spices in the air, and the soft white sand may just beckon you to stay forever. 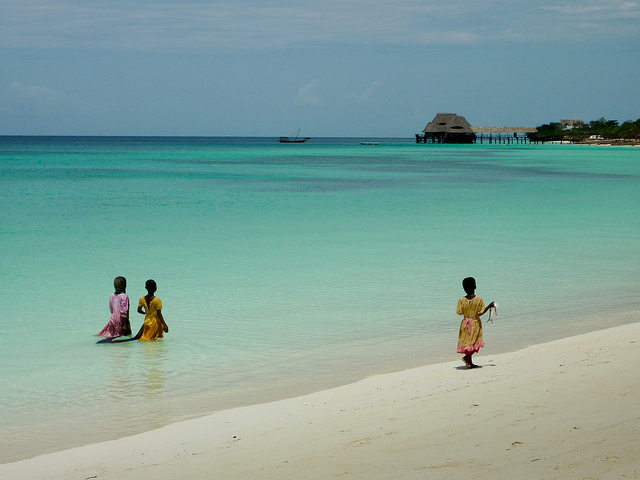 As you can see you can’t go wrong with any of the Zanzibar beaches that you choose. Aquamarine crystal clear waters, sandy beaches, and the local community all make it a place you will remember forever. The beaches look amazing. I must add Zanzibar to my list. Always amazing to read about new hidden gems just waiting to be explored around the world from out of the ordinary! Zanzibar is just one of those! Great photos, thanks for sharing them! Zanzibar is paradise. I remember thinking, this is the most beautiful place I’ve ever been. I still have such fond memories of it. Thanks for the reminder! Thank you, Deb!! I can’t wait to get there…..
Mission accomplished – I wish I were there. Great photos! I really want to go there sometime… not just for the beaches but yeah, they do look awesome!! Wow I wish I were there right now!! Ras Nungwi looks like a spot I’d love to see! Wow. Incredible. Zanzibar hasn’t really been on my list but that is looking like it’ll change after this! I did!! It was great!